This article appeared while our email system was down so most readers missed this. 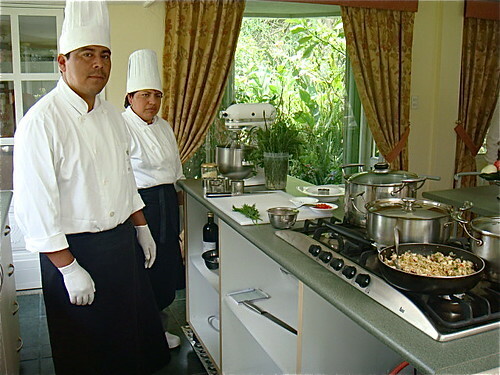 Readers at this site can now enjoy Ecuador cooking classes school in Cotacachi as they enjoy the ultimate in luxury. 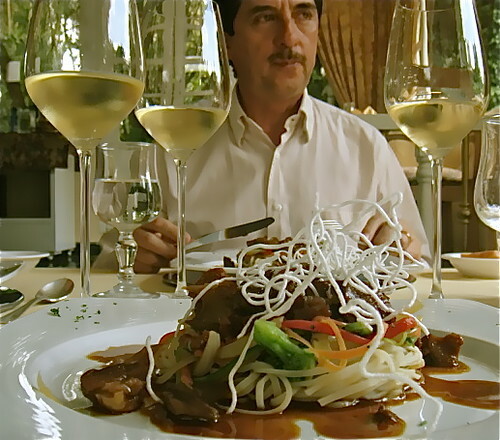 La Mirage… one of South America’s Relais & Chateaux spas shares three Ecuador epicurean recipes here. 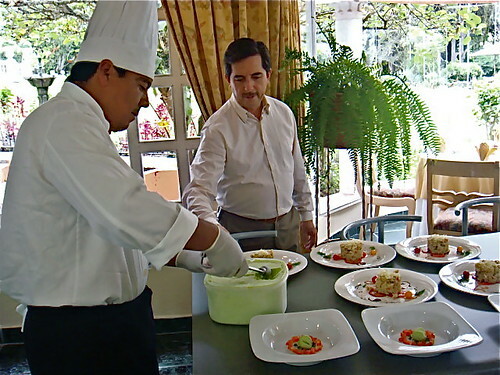 These are Ecuador cooking recipes that blend pre-Incan nutrition with modern cooking techniques and are taught at the La Mirage cooking school. 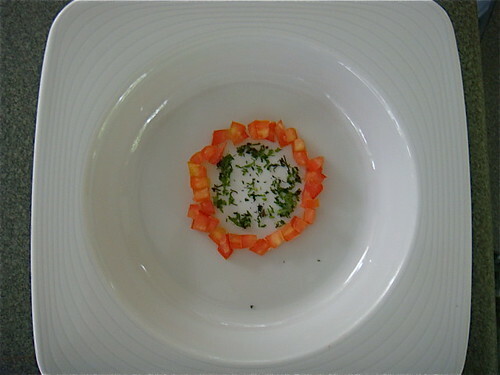 Gastronomical education in ultimate luxury might better describe this cooking school at La Mirage Garden Hotel & Spa by La Mirage. 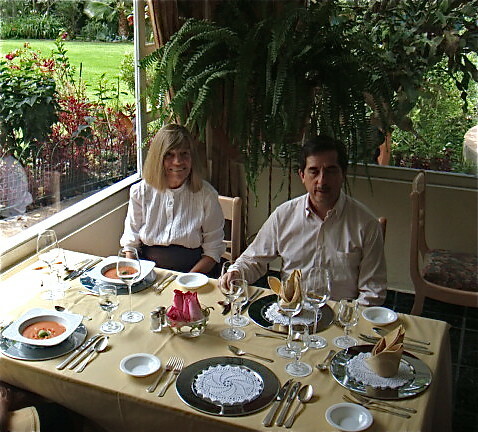 La Mirage’s exquisite food is one reason we fell in love with Ecuador. La Mirage is a world class spa with lush private gardens and a restaurant to match. 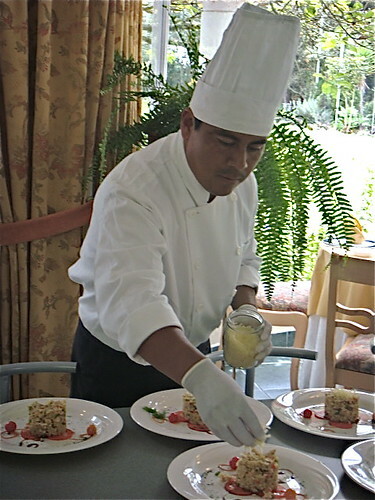 We take most course delegates to visit La Mirage Garden Hotel at least once and enjoy the great Ecuador cooking there. The food is incredible. The homemade, organic rose ice cream dessert is out of this world. Each tiny ball of rose ice cream hides in the center of a blossom of sugared rose petals. Here are these three Ecuador cooking recipes. 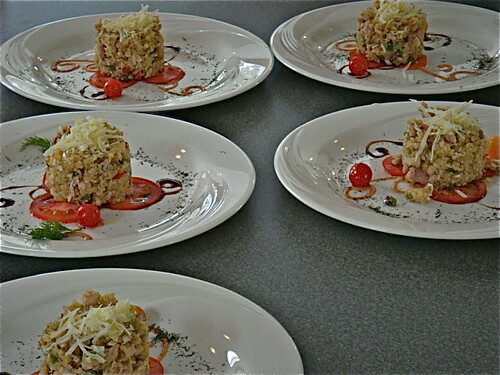 Better still learn much more and attend the La Mirage Cooking School! 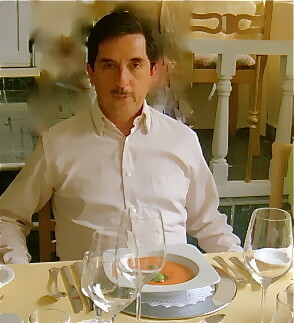 Jorge is a proprietor of the La Mirage Garden Hotel & Spa. 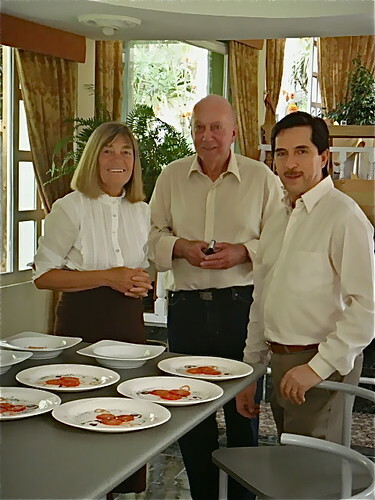 He was trained as a Chef at the famous Hotel Training School in Bad Reichenhall, Bavaria, Germany before honing his culinary skills cooking at several notable hotels before opening La Mirage in 1986. 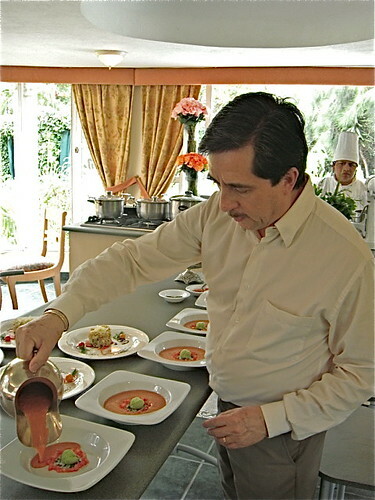 At the La Mirage Cooking School, Jorge teaches a unique cooking style that blends ancient pre Incan cuisine with his decades of experience gained while working globally with some of the best chefs in the world. Step #2: For the sherbet mix coriander, water, sugar in a blender. 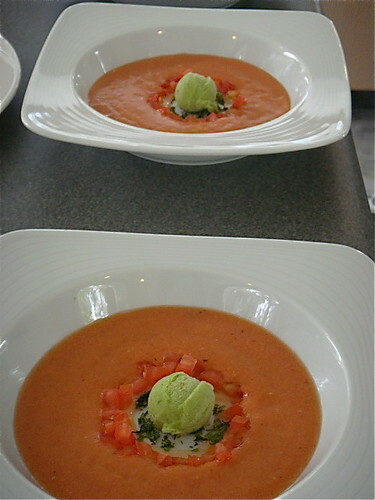 Place the ingredients into a bowl and place in a freezer to harden. 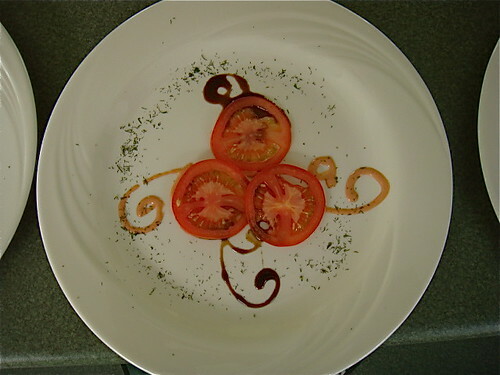 long slices of Parmesan cheese or optional with caramelized strips of ginger. There are three dates for the school and two price options. 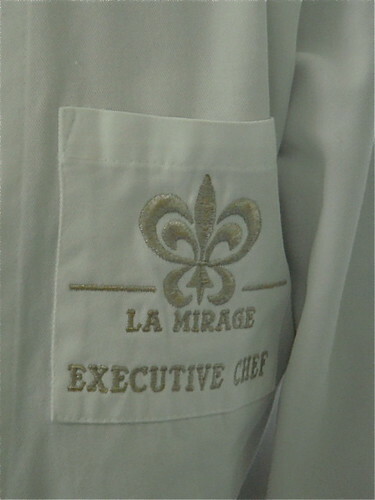 The fee for the three days of class and two nights at La Mirage is $854 (including tax) per person for two in a room. 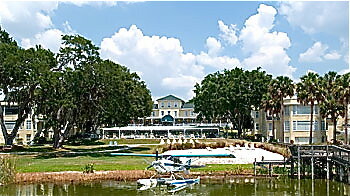 A single supplement is $125 a night plus 22% tax. If you stay instead at our Inn Land of the Sun (formerly Meson de las Flores… just a few blocks from La Mirage, the price drops to $579 per person. There is no single supplement. We provide three e-courses that can help you develop a micro business that can help you earn anywhere you live in the world. 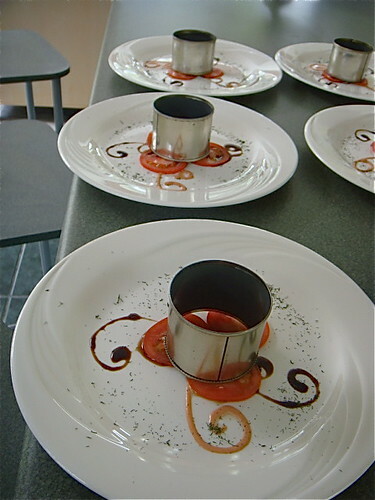 Each course is $299. Until August 15, 2010… order one at $299 and get all three. You save $598. August Savings #3: Gain discounts by attending multiple seminars and tours.